This post is brought to you by Tree Top; however, as always, all opinions are my own! 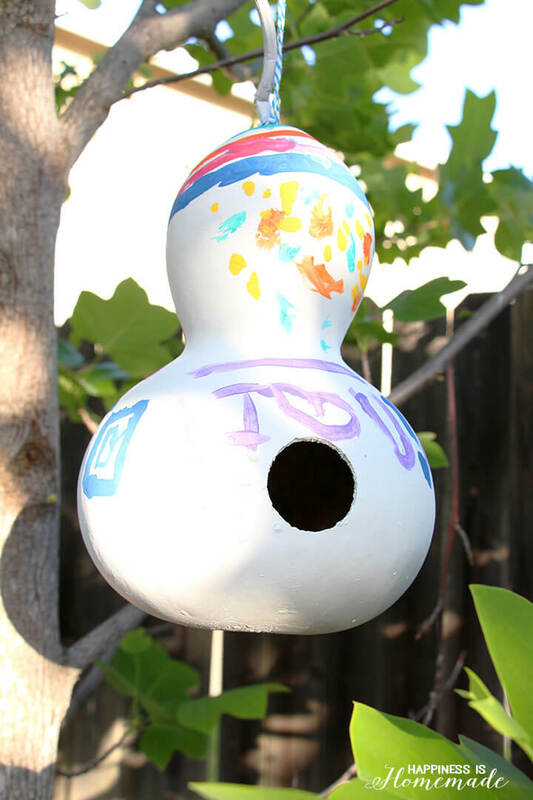 DIY gourd birdhouses are a fun craft for the entire family! Turn last fall’s garden leftovers into springtime’s bright and cheery yard decor! I’ve chatted with you a lot about the importance of gardening (especially with children! ), and one of my favorite things to grow in our garden is gourds. 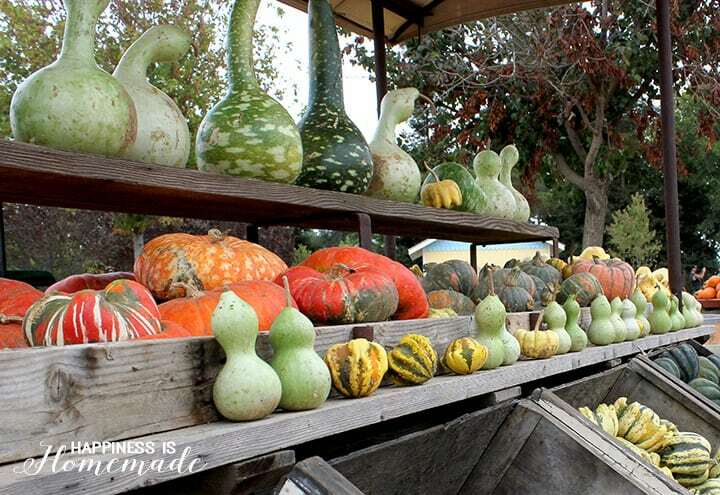 Every fall we end up with a crop of bright green gourds that vary in size and shape. Each one is unique! 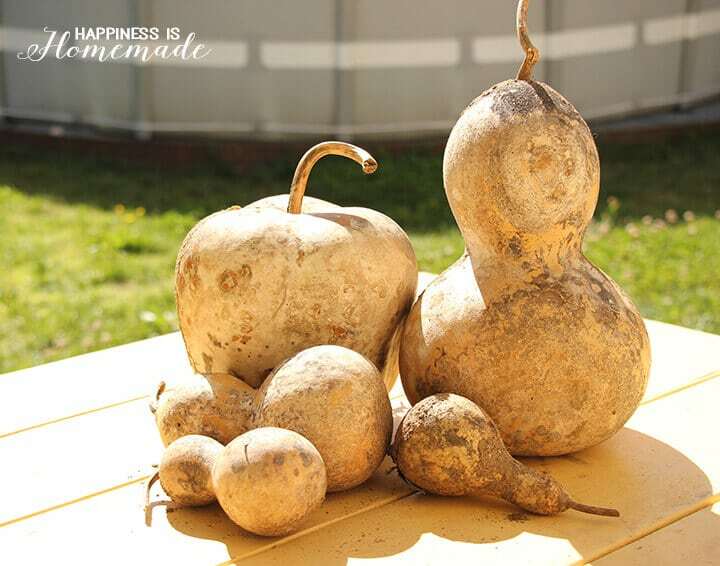 To dry the gourds, simply leave them outside for several months. They will start to look a little funky and possibly grow mold, but as they do the shell also becomes hard, and the “guts” inside dry out. It’s best if you keep your gourds in an area where they are protected from the elements, but it’s not totally necessary. Once they are dry, use steel wool to scrub at the shell to remove any remaining dirt or mold (be sure not to inhale the dust if your gourds are moldy!). A quick dunk in a bath of bleach water finishes the process, and they are ready to be turned into birdhouses. 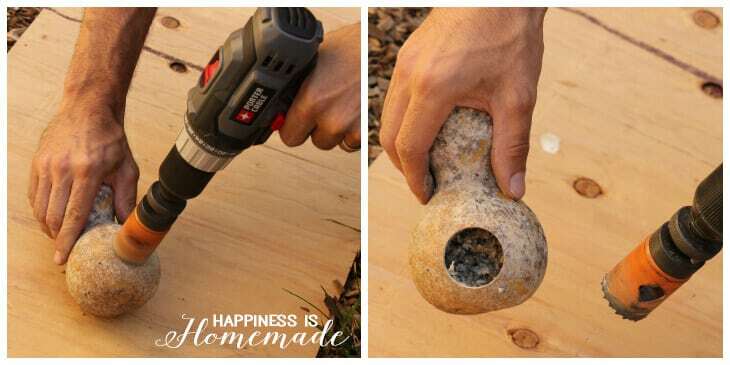 Use a 1.5″ hole saw to carefully cut the circle for the birdhouse opening. Clean out the dried seeds inside the gourd – use them to plant more gourds! 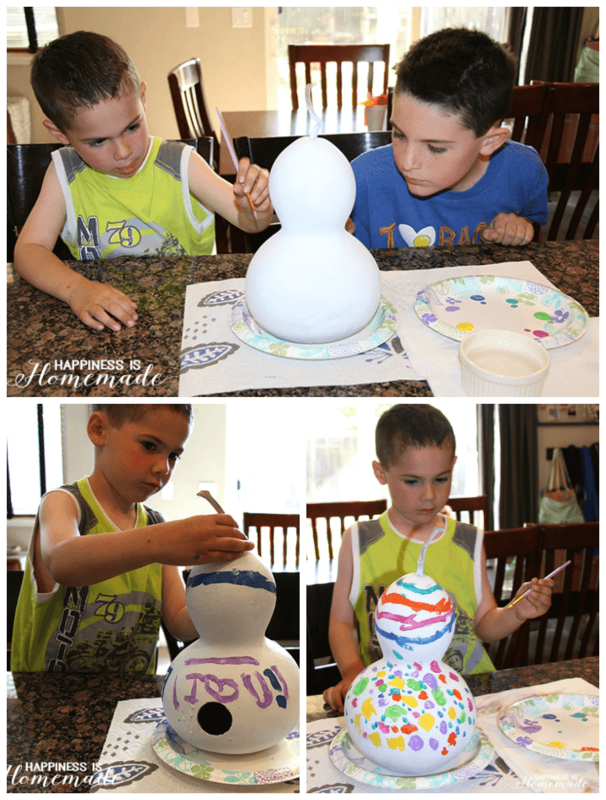 I spray painted the peanut and pear shaped gourds flat white to create a blank canvas for the boys to paint upon. 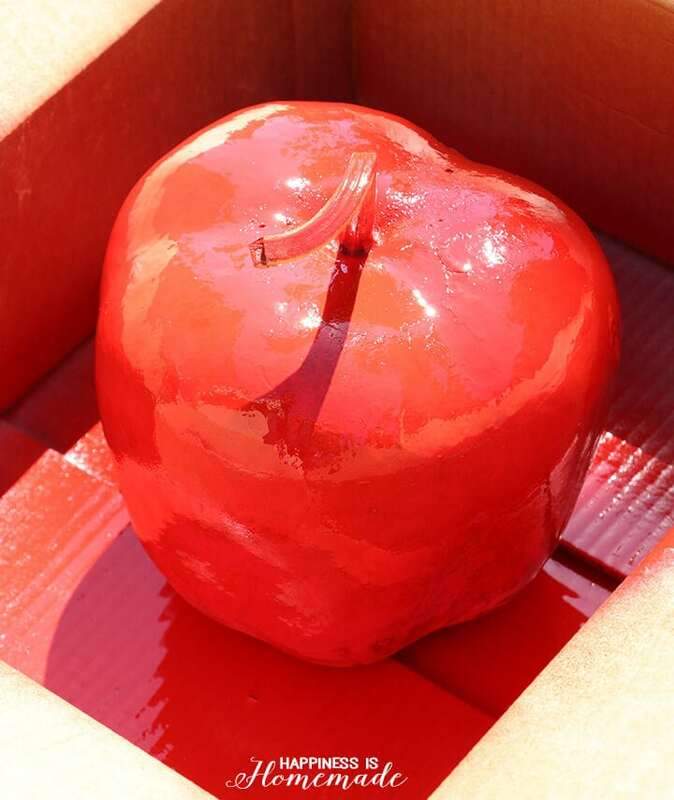 Sawyer, my oldest son, spray painted this apple shaped gourd a bright shiny red to turn it into an apple birdhouse. It reminded me of Tree Top apples! 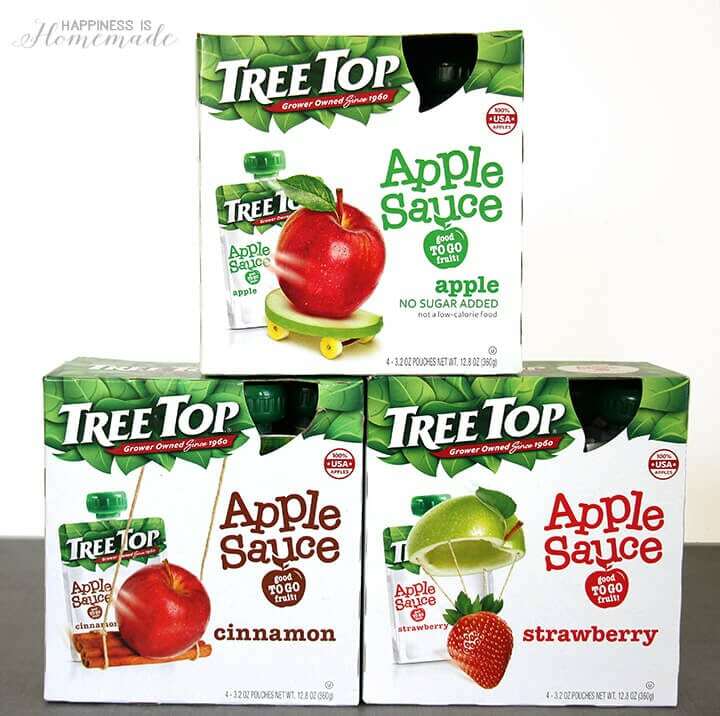 Tree Top is a trusted grower-owned co-op located in the heart of Washington’s apple country that has been delivering premium quality juices, smoothies and sauces for over 50 years! We love the taste of their USA-grown apple products! Of course, all of that thinking about Tree Top lead us to take an apple sauce break! Three Top Apple Sauce Pouches are perfect for on-the-go snacking or mealtime since they’re mess-free, taste great and made with pure fruit (not to mention they’re full of squeezable fun!). 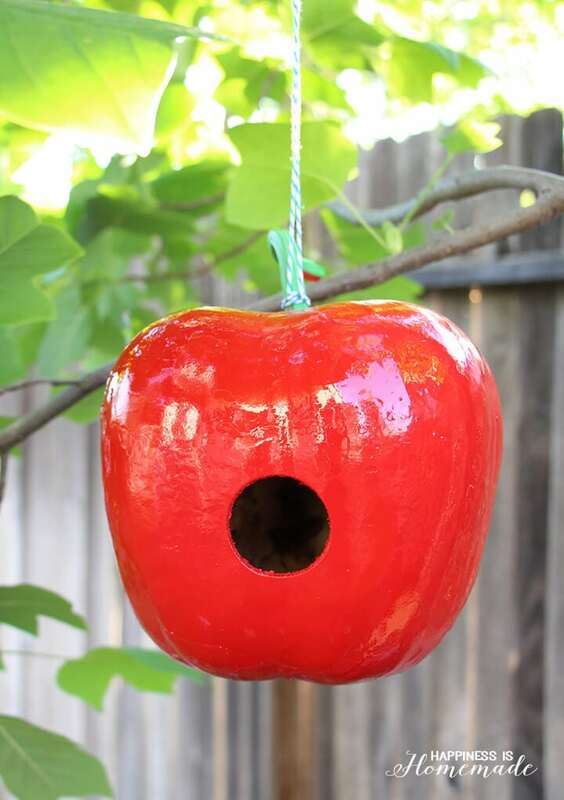 When the paint on our apple birdhouse was dry, we hung it up in the tree with a length of baker’s twine. 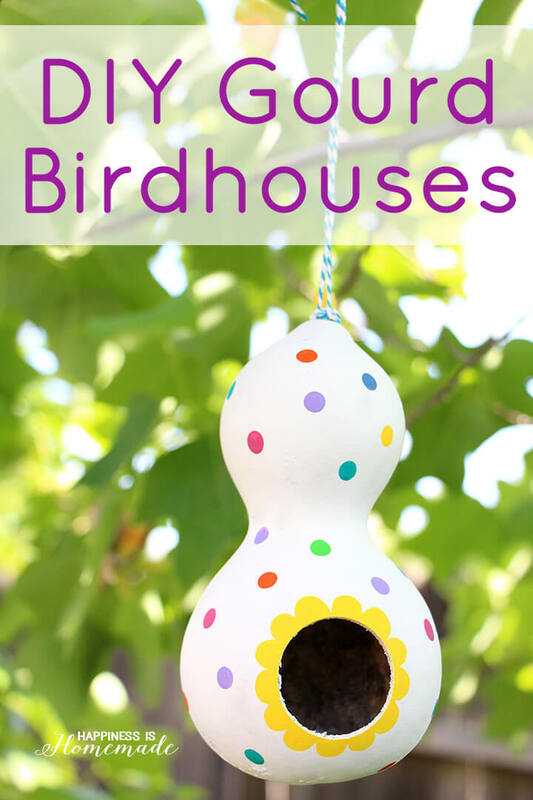 I love how this birdhouse turned out, and it was SO simple to make! Sutton and Simon started painting the largest gourd birdhouse together, but Simon eventually took over and finished the painting all by himself. He was SO focused and serious about his work! I can’t get over the “I ♥ U” message over the door! The boys are really hoping that a mama bird will make a nest in their gourd house. 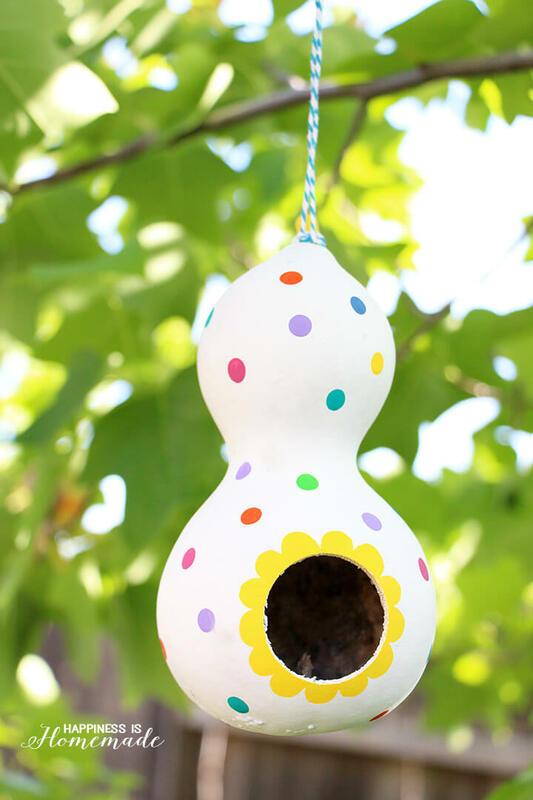 We painted a cheery yellow flower door and colorful polka dots on the smallest gourd. Tip: a flat pencil eraser works perfectly for making dots of paint! It’s almost ridiculous how happy it makes me every time I see this hanging in the tree! …but that apple is still my favorite! Tree Top is giving away gardening set, and you could be one of 40 lucky winners! The giveaway will be open from April 7, 2015 to May 15, 2015 at midnight PST and will be sponsored by Sway Group. Forty winners (from all 40 giveaways) will be selected to receive a gardening set valued at $60. Sway Group will select the winners on or about May 18, 2015 and will follow up with the prizewinners. Tree Top has joined forces with KidsGardening.org for the Raising Good Apples program. 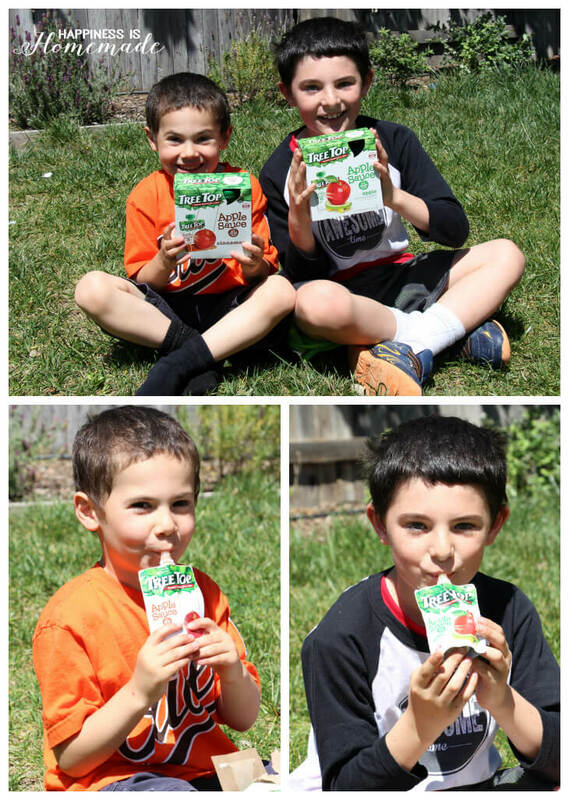 For every purchase of Tree Top Apple Sauce Pouches, Tree Top will donate a dollar to KidsGardening.org to help fund community garden projects and raise good apples across the country. Tree Top’s grower’s are committed to raising top quality fruits to create the best products for families to enjoy together, and their collaboration with KidsGardening.org is helping to change the world by introducing the world of gardening – one child, one school, and one community at a time. 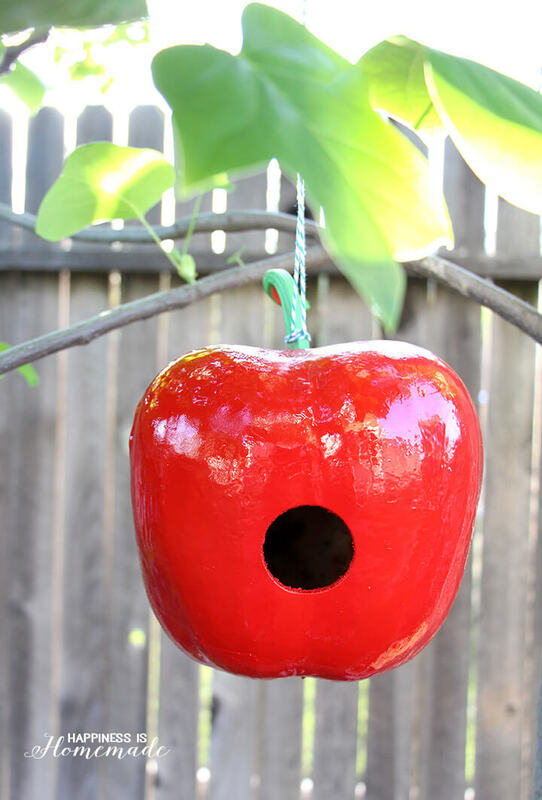 Looking fabulous all of these DIY gourd birdhouses! I’m very inspired to create some of these same designed bird nests for my kids. Hope they’ll be delighted to see hanging these nests around my garden and birds are making cheery noises. My wife is always looking for things to do with the kids and recently she has been looking into making bird houses with them. So she and I have been looking for different bird house designs so that ours can be unique and different from the rest. I like the idea of using a gourd to make a tree house rather than using wood and nails. 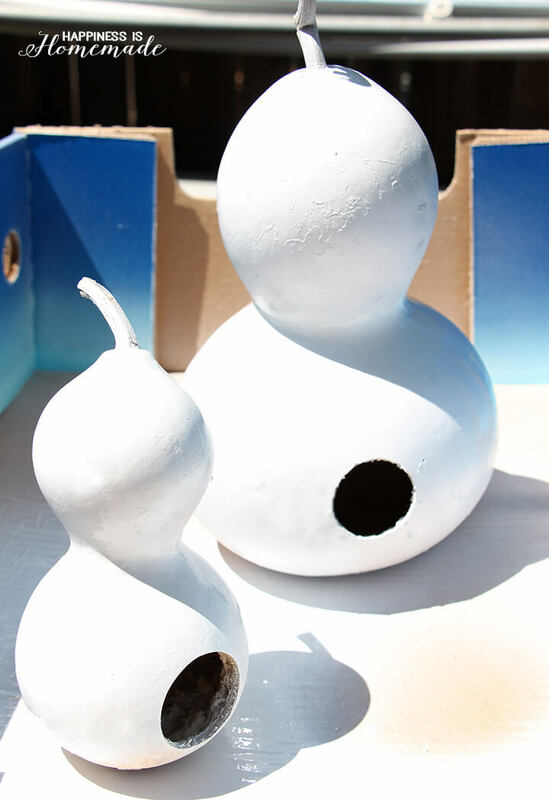 I did not know that the process of drying out a gourd took close to six months but it I had that time, I think that it would be a great project to do with the kids so that they can use their creativity to paint the gourds.